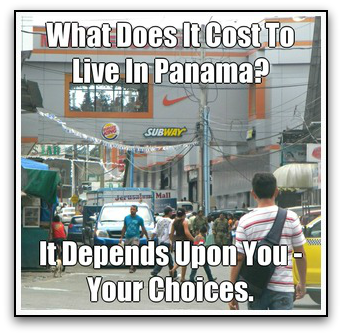 What's The Real Cost Of Living In Panama? 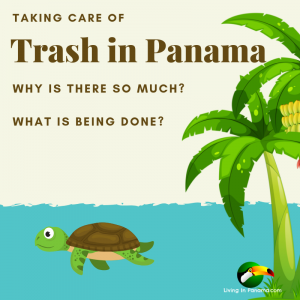 What Is The Real Cost Of Living In Panama? As I’ve said, the cost of living in Panama depends in large part upon You. Many locals can live here easily on $300 a month. I have no idea how. Of course, other locals live on significantly more and others on much less. Most people who come here from another country have a standard of living that they want to maintain to some extent. What Lifestyle Do I Need To Be Happy? Do I Need All The “Comforts Of Home”, Or Not? 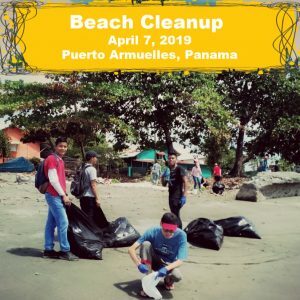 What Income Do I Need To Have My Ideal Lifestyle in Panama? Cove and Bethany Cook kindly offered to give their perspective on the cost of living in Panama in the video below. 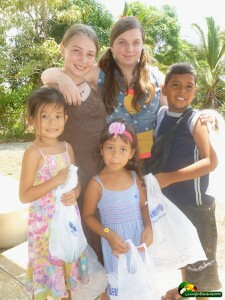 The Cooks and their 4 children have lived in Panama for about 8 years. 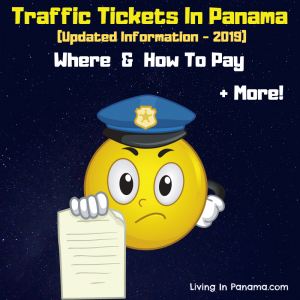 Cost of living in Panama City? What does it cost to live in Boquete, El Valle or Coronado? Don Winner of Panama-Guide.com asked expats in Panama to send in their budgets. He explained the information he wanted to receive in the video below. That is, what to include in the budget of what it costs them each month to live in Panama. I share the data he has gathered from people in various parts of Panama in the paragraphs below. A 70 year old single American male has been living in Panama full time since 2000. A full time girlfriend lives with him, so these monthly expenses are for two people. He bought a new SUV in 2004 for $30,000 in cash. He bought a nice 280 square meter oceanfront condo in 2005 for $270,000 cash. He spends $4,000 per year ($333 per month) for major medical insurance. He reports spending $1,500 per month on “groceries and booze” and another $650 per month on “restaurants and fun.” He lists another $500 per month for “stuff.” His monthly condo fee is $370 per month for operations and maintenance for the building, as well as security, common water, gas, and garbage collection. For utilities he spends $120 per month on electricity, $130 per month for cable television and Internet, and $330 per month for two cell phones. So the total comes to $3,933 per month for two people, or $1,966 per person. There was a total upfront investment in cash of $300,000 dollars to buy the condo and his vehicle. So, the bottom line is – A retired man and his girlfriend live in downtown Panama City for $1,966 per person, per month. A single American man (lets call him Frank) lives on his farm in Boquete. He has a live-in girlfriend who spends a lot of time with him, especially on weekends, so these expenses are for two people. Frank bought an income-producing 4 acre coffee and citrus farm upfront for $350,000 in cash. He also bought a new car for $21,000 in cash. His property taxes are $150 per month. 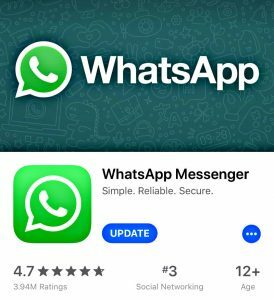 Utilities: $5.35 per month for propane gas, $40 per month for electricity, $2.50 per month for water, $8.95 per month for Netflix, $25 per month for a cellphone contract with unlimited data. He spends $200 per month for fuel, $50 per month for auto insurance, $20 per month for home insurance, $300 per month for groceries, and another $300 per month on restaurants, entertainment, and dining out. There is also a $60 per month cost for a wireless Internet connection – more expensive because of the relatively remote farm location. One half-time farm worker costs $260 per month, including Social Security payments as required by law for an employee. Other costs for $50 per month were listed as “miscellaneous”. There was an up-front investment of $371,000 to buy the farm and the car. A 55 year old man and his 45 year old wife live in Ojo de Agua, which is near the Playa Venao on the Azuero Peninsula, Panama. They bought their house for $27,000 cash about six years ago and invested another $10,000 in cash to remodel the house while they both continued to work in the US, before they could retire. They bought a truck for $12,000 cash in 2009, and they both have been living here full time for the past two years. They pay $56 per month for vehicle insurance, full coverage. Utilities are $40 per month for electricity, $11 for water, $55 for Skye TV, $25 for Internet through a Cable & Wireless USB connection, $30 in cell phone cards, and $60 for life insurance. 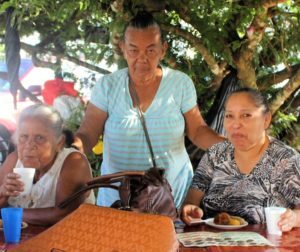 They spend about $160 per month for fuel, used to drive to Las Tablas, visit friends, or to go to the different beaches in the area. 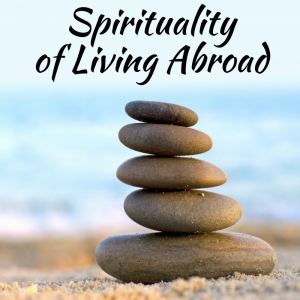 They spend $200 per month on groceries and household supplies, and another $300 per month on restaurants, dining out, and “my husband’s cerveza.” They budget about $2,000 per year for international travel to visit the United States. 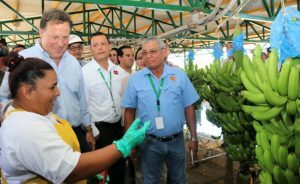 “Give or take an ice cream here and there our living expenses for Panama is $550 a month per person. It would be more affordable if my husband would give up the Atlas and if we stopped eating at the beach everytime we go! But it is for those things that we love it here! !” I see an initial cash investment of $49,000 for the house, remodeling, and car. Their monthly expenses are just over $1,100 total. So, the bottom line is – A retired couple lives on the beach in Panama for $550 per month, per person. 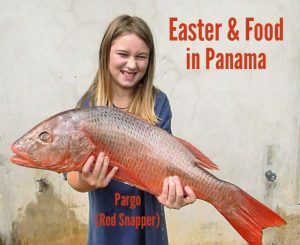 A retired American male has been living in Panama City for the past five years. He bought a new two bedroom condo in El Congrejo for $150,000 dollars cash, so there’s no monthly mortgage payment. He also bought a new car for $18,500 and a motorcycle for $1,500 dollars in cash, so no monthly payments there either. His only source of income his his monthly Social Security check, so he has to “watch every dollar.” His monthly expenses are $126 in condo fees, $75 for Internet and cable television, $65 for electricity, $300 for food, $60 for gas for both the car and motorcycle, and $24 for insurance. He lists another $100 per month as “miscellaneous” monthly expenses. He said “I live very comfortably on $750 per month, and I don’t skimp.” He spends the remainder on discretionary items such as travel and partying. His total up-front cash investment was $170,000 for the apartment, car, and motorcycle. So, the bottom line is – A retired man lives alone in his apartment in Panama City for $750 per month. A retired husband and wife live on an island in the Bocas del Toro archipelago in the Republic of Panama. They spend $100,000 to buy the property and another $150,000 to build their home. They have no monthly utility bills because they live “off grid” using solar electricity and a rainwater catchment system. They report regular monthly expenses of $100 month for transportation (truck and boat); fuel and maintenance; $450 month food costs (groceries, beer, wine & eating out); $150 month for yard, agricultural work; $100 month lawyer fees for “typical Bocas stuff”, and $20 month for propane. They had an initial up front investment of $250,000 for the property and to build the house. Their total monthly expenses are $820 per month. So, the bottom line is – A retired couple lives on an island in Bocas del Toro for $410 per person, per month. A young working couple and their three kids live in a house they bought in Veracruz, located just outside of Panama City. They paid $23,000 or 10% down to buy the house, and then spent an additional $60,000 on repairs, remodeling, and upgrades. They spent $24,000 cash to buy two cars, one of which is paid off and there’s still a loan on the other one. Their monthly expenses are $1,600 for the mortgage, $257 for life insurance (related to the mortgage), $90 for fire/flood/content insurance as required for mortgage, real estate taxes $165. Monthly car payment $330 which includes insurance. Insurance on the second car is $100 per month. Diesel for both cars $280 per month. Health insurance is $120 for the entire family. Private schools cost $600 for three kids. Electricity is $350 per month. Garbage pick up $12 per month. Internet is $30 per month. They spend $130 per month for Satellite TV, and subscribe to two different services. Food and household supplies $1200 per month. A maid costs $200 per month, five days a week, mornings only. And a gardener is $80 per month, only one day per week, full day. They put down $107,000 to buy the house, fix it up, and buy two cars. Their total cost of living expenses are $5,544 per month. So, the bottom line is – A working couple and their three children live in Veracruz for $1,108 per person, per month. 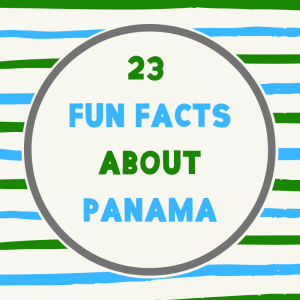 2 factors have the greatest impact on your cost of living in Panama. The first is how much money you are able to invest up front. If you can afford to buy your home and car in cash, then that eliminates a lot of monthly fees for mortgage payments and the associated insurance required when you have a bank loan. So, buy putting more down up front greatly reduces your monthly expenses. No real surprise there, but it’s interesting to see that fact reflected in the monthly spending habits being reported. The second greatest factor is how the monthly “burn rate” changes depending on how people choose to live. If you buy your groceries in the supermarket, do your cooking at home, and don’t spend too much on restaurants or dining out then you can greatly reduce the monthly cost of living in Panama. Conversely, there’s literally no limit to how much you can spend, if you want to. In this group of 6 households, their average, per person, monthly living expenses range from a low of $410 in Bocas del Toro to a high of $1,966 for an ocean view condo in Panama City. The average, per person, monthly cost of living for this group was $919 dollars. The first group of 7 households with a total of 17 people had a slightly higher average of $1,130 per month, per person. These 2 groups consist of thirteen families and 31 individuals. Thank you Don Winner for gathering this information. It is wonderful to get good information so you can make an informed decision about whether you can afford to live in Panama. As Don says as well, in many ways, your cost of living depends upon you. Some things are definitely cheaper here, but some things cost more. For instance, no matter how little water we use or don’t use here, our bill is $7.10 month. I am still astounded by that. Electricity is also cheaper. We pay between $30 to $40 a month. More in the dry season since we use more fans. But we don’t use air-conditioning. We find that if you use air conditioning it makes it difficult to ever leave the house because, in contrast, it seems so hot outside. If you need to buy all the same food and brand names as you did in the States, then your cost of living will be higher. In general, we have found that an income of $1200 a month for one or two is enough to live comfortably, although not in luxury. You need to determine what life style you desire and what it will cost to maintain it in Panama. To find affordable property in Panama, start your search by Clicking Here. Will owning two rental properties in the US that are paid off., which yields about 2400 a month gross or about 1600 net qualify for a resident visa? how is mail out in panama, can you order things online from other countries also? and internet does it stay connected? thanks. im on social security in USA, im bipolar so my check is $900 a month, how do i go about getting it in Panama? Sounds like if you have a car payment and a house note, you’re paying $1200-1500 a month to live modestly, $2k a month to live high on the hog.